Depression and anxiety can hit any of us at any time and when it does, taking time to prepare food and eat well can be incredibly difficult. You can feel overwhelmed by life, paralysed by anxiety, and have little interest in cooking and eating. The irony is that certain foods and nutrients can support mental wellbeing, and good nutrition is an important step on the path to recovery. The key to making these changes is to keep them practical and manageable, Take small sustainable steps, one at a time. Attempting a full diet overhaul can be a step too far and a bit too challenging when you feel this unwell. Let’s look at some of the important nutrients that support mental wellbeing, and easy ways to incorporate them into your daily routine. As always, we need to start with digestion. If you’re not breaking down your food properly and absorbing the nutrients it doesn’t matter how many fancy foods and supplements you take – none of them will work. The trillions of bacteria living in our digestive system – also known as our microbiome – are the subject of ongoing research. Our gut and brain are communicating constantly via nerve pathways and chemical messengers, many of which are produced or influenced by friendly gut flora (probiotics). Many of the research studies looking at probiotics and mood balance are small scale but the results are promising and it is now known that certain species, including Bifidobacteria which thrive in the colon, can positively affect mood. – Nourish your microbiome by including fermented foods 3-4 times a week. Try sauerkraut, kefir (dairy or coconut water), natural plain yoghurt, or kimchi. Do not use if you have histamine problems as fermented foods are rich in histamine. – Swap raw foods for warm, cooked foods that are easy to digest; for example swap your lunchtime salad box for a vegetable soup or reheated leftovers. – If you have ongoing digestive problems seek help! 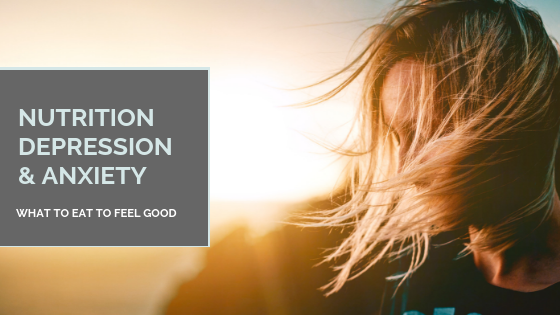 Food sensitivities, Irritable Bowel Syndrome, Inflammatory Bowel Disease and Coeliac Disease can all contribute to depression and anxiety so do get in touch with me or a BANT Registered nutrition practitioner in your area for support. Remember to download your copy of ‘Your 3 Easy Steps to All Day Energy’ too; it’s packed with tips for supporting digestion! Your brain contains 25% of your body’s cholesterol, and an awful lot of polyunsaturated omega-3 fats. If you’re still buying ‘fat-free’ and ‘low-fat’ foods you are doing your brain a great disservice – please stop! Fats provide structure to our brain cells and help them communicate with each other. Without fats the messages between brain cells are like a bad mobile phone signal, all crackly and broken up and we are at risk of mood fluctuations and depression. 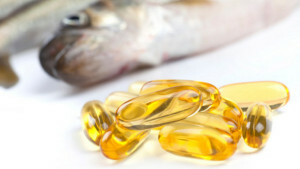 The long-chain omega-3 fats also have anti-inflammatory actions. 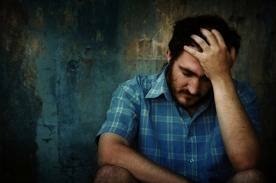 Increased inflammation is associated with several mental health disorders, including depression. Inflammation is known to alter the balance of mood chemicals like serotonin and dopamine, and affect areas of the brain linked to motivation and perception of threat. Not every person with depression has increased inflammation but it is a key factor for many, making anti-inflammatory foods part of a brain-health food plan. 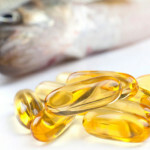 – Include oily fish 2-3 times a week. Think SMASHT – salmon, mackerel, anchovies, sardines, herrings and trout! – If you’re not keen on the taste of oily fish, sneak it into a fish pie or mix tinned sardines / mackerel in tomato sauce into a tomato based veggie sauce. – Vegetarians & vegans: make sure to include pumpkin seeds and oil, flax oil, walnuts, or a blend like Udo’s Oil every day to top up your levels of Alpha Linolenic Acid (ALA). This converts to EPA and DHA (the omega-3 fats found in the brain) but a lot of it is lost in the conversion process hence the daily intake. Proteins – brain building blocks! Mood chemicals like serotonin and dopamine are made from amino acids, the little building blocks that make up proteins. A low protein diet means there may not be enough amino acids to support the production of mood chemicals in the brain. – Keep a Food & Mood diary for a week and see how often you eat good quality protein rich foods. – Aim to include a palm-sized serving of protein with every meal: choose from eggs, good quality meat or fish, lentils, chickpeas, nuts and seeds. The sunshine vitamin is a biggie for mental health. There are vitamin D receptors throughout our brains, and low levels are thought to play a role in the development of SAD – Seasonal Affective Disorder. Once you know your levels, you can decide whether to supplement or not. Optimum levels (based on cancer research studies) are between 75-100nmol/l. During times of stress we need to eat plenty of foods packed with these nutrients to give our nervous system extra back-up. Magnesium and B-vitamins (particularly B6 and folate) are essential for mood chemical production and function, as well as supporting our energy levels. – Go green. Dark green vegetables are rich in both folate AND magnesium. See if you can include 2 generous handfuls of green leafy veg everyday. Try adding a big handful of baby spinach to a smoothie or omelette. Serve broccoli or peas with your evening meal. If you haven’t got the motivation to prepare fresh veg, buy the ready chopped frozen stuff – at this moment in time it is more important for you to eat the veg than worry about it being fresh. 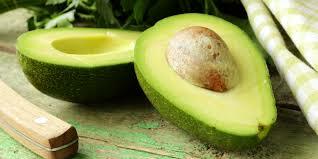 – Include two B6 foods everyday: choose from avocado, chicken, turkey, lentils, banana, carrots, brown rice, nuts, and seeds. – Relax in an Epsom Salt bath! Epsom salts are rich in magnesium sulphate which can be absorbed through your skin. Make sure the water is comfortably warm, add a few drops of essential oil if you fancy, and soak for a good 20 mins. Remember to ban everyone else from the bathroom so you can bathe in peace! I hope you find these tips inspiring, and feel able to try them out one at a time. 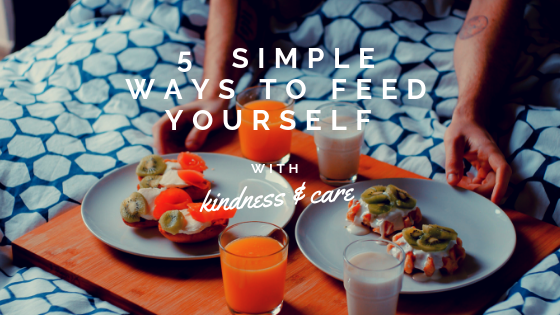 Feeding yourself well is one of the kindest things you can do, and you are TOTALLY WORTH the extra ten minutes it takes to prep something tasty! 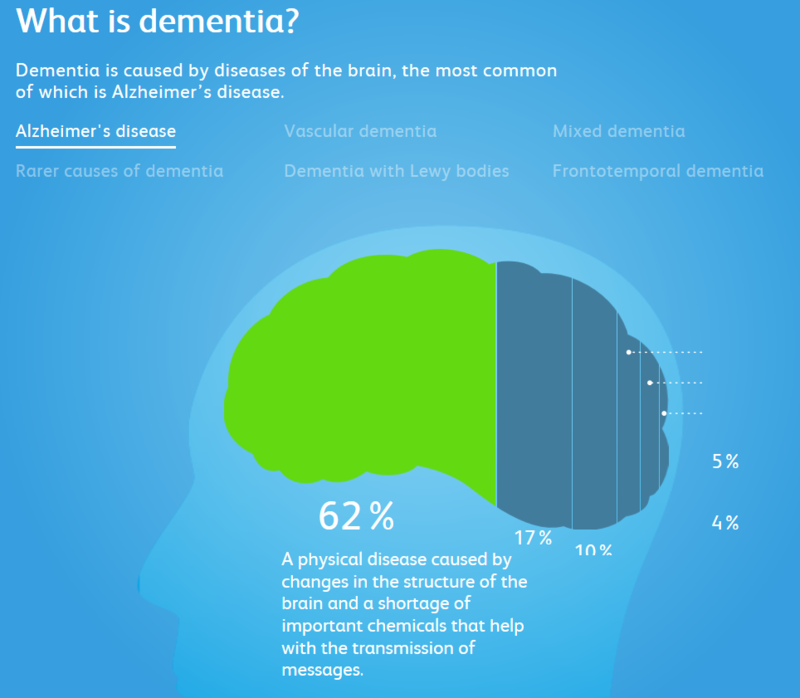 Here in the UK there are currently 850,000 people living with dementia. Because we are an ageing population, this figure is set to grow massively over the next few years, placing a huge strain on our already beleaguered healthcare system. Last week I had the privilege of attending a lecture by Dr Dale Bredesen, a Professor of Neurology at the Buck Institute in America. He is pioneering research into dementia and Alzheimer’s Disease (which accounts for 62% of all dementia) and achieving incredible results. His protocol combines nutrition, lifestyle, supplement and medications – a truly holistic approach for what is a complex condition. You can read more about his work here at the Dementia Alliance International website. The problem with all the new dementia drugs that keep hitting the headlines is they are only focusing on 1 aspect of the problem: the accumulation of protein tangles in the brain. Stopping these protein tangles will not halt or reverse the progression of dementia in the long term because this is only part of a much broader picture. Dr Bredesen likens dementia to a leaky roof that has 36 holes in it. The drugs plug 1 or 2 of these holes but the roof will still leak! Taking nutrition, exercise, lifestyle and key nutrients into consideration is crucial in order for the roof to become watertight again. So, if you’re concerned about cognitive decline or simply want to keep your faculties as sharp as possible for as long as possible, what can you do? 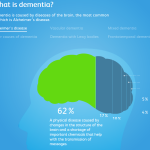 The presence of the homozygous APOE-4 gene variation causes a 90% increased risk of developing dementia. This is an increased risk – it’s not a definite destiny! How your genes are expressed is determined by your diet and lifestyle: you have the power to positively influence your genes. For more information on genetic investigations and nutritional support please contact me. Alzheimer’s has been termed ‘diabetes in the brain’ because the brain cells lose their ability to respond to insulin and use sugars effectively for fuel. If your diet is high in refined sugars and processed foods, cut these out. Switch to wholegrain versions and include a wider variety of naturally gluten-free carbohydrates like buckwheat, quinoa and brown rice. Include good quality protein with each meal. Aim to have a mini-fast each night by not eating for 12 hours e.g. 8pm to 8am. When brain cells struggle to utilise sugars properly, they can still use a type of fat called MCT (medium chain triglycerides). Coconut oil is an excellent source of these fats, and anecdotal evidence demonstrates improvements in dementia symptoms from including 1-2 tablespoons of coconut oil each day. Your brain also relies on ample levels of cholesterol: 25% of your body’s cholesterol lives in your brain. This works alongside omega-3 oils from oily fish, nuts and seeds to keep your brain cells communicating properly. Vitamin D receptors are found throughout the brain and low levels of this nutrient are linked with increased inflammation – a key trigger for dementia. Reduce your exposure to toxins by switching to natural cleaning products and bodycare products. Stop smoking (that’s obvious! ), avoid aluminium pans and utensils and include plenty of antioxidant foods: coriander, spirulina, chlorella and dark green leafy vegetables, eggs and onions are some of the best sources of powerful antioxidant nutrients. Movement of all kinds improves circulation and blood sugar balance. Including movement each day, whether its walking, swimming, yoga, Tai Chi or a full on gym workout is vital. Keeping your brain stimulated by learning new things is just as important. Your brain cells grow and restructure themselves each time you learn new information or have to solve problems. Learning a new language, doing a daily crossword or Sudoku puzzle can all help stimulate ‘neuro-plasticity’ – the reshaping and growth of brain cells. Concerned about your mental wellbeing? 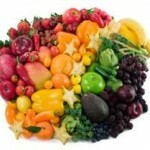 Looking for naturopathic nutritional support for depression, anxiety or poor memory? Multivitamins and minerals as an alternative to depression medication? 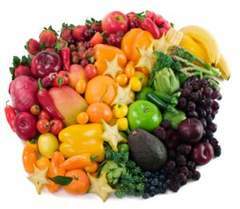 A panel of scientists at the Institute of Food Technologists has been debating the research that shows how higher levels of vitamins and minerals can enhance mental wellbeing and be particularly beneficial for people suffering with anxiety and depression. It has long been known that B-vitamins in particular suppport brain function and the health of the nervous system; magnesium, zinc, vitamin C, vitamin D and omega-3 essential fats are just as crucial. These nutrients work as a team in the brain, supporting the production and function of neurotransmitters and hormones. The panel discussion focused on the use of vitamin and mineral supplements – not just a healthy balanced diet – for supporting mental vitality and wellbeing and suggested they are a suitable alternative to medications which frequently have unpleasant side effects. During times of stress and anxiety the body’s need for these brain boosting nutrients increases yet we often rely more on sugary processed foods and stimulants like tea, coffee and alcohol as we feel too tired or busy to eat properly. Taking a good quality, high strength multinutrient formula (good brands include Nutrigold, Solgar, Natures Plus, Quest and Nutri) can cover the gaps in the diet and offer that extra support.